Iran’s problems extend to the Gulf States and include occupation and destabilization operations, among other practices, and the same applies to Lebanon, Yemen and other states. This confirms that Iran’s problem is not with Saudi Arabia or Egypt only, as Damascus is trying to convince us, rather; it is with all the countries in the Arab world. 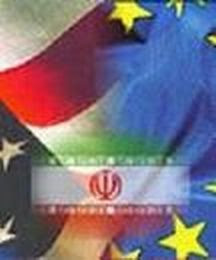 Iran is not a superpower but it has a specific goal and it relies upon some groups that believe that their sectarian affiliation to Iran grants them power and stature – with the knowledge that vast majority of Shia, on all different levels, are aware of and always warn about the threat posed by the incumbent regime in Tehran. Iran’s real problem lies in its desire to expand in the Arab world and to resume its exportation of its Islamic revolution. Many of us overlook the fact that Iran’s fundamental problem since [Ayatollah Ruholla] Khomeini’s revolution was exporting it, in addition to its interference in internal Arab affairs – and this is what [Iranian President Mahmoud] Ahmadinejad’s regime and its supporters are seeking to implement today. Washington presented Tehran with a priceless service when it removed its archenemies; Saddam in Iraq and the Taliban in Afghanistan. The conflict is not Iranian-American as some would like to imagine; Iran believes that this is its historical opportunity to extend its influence in Iraq and Afghanistan and expand in the region whilst exploiting the vacuum and the shock that perplexed the Arabs the day Baghdad fell. Iran wanted to resume what it had started in terms of exporting the revolution following Khomeini’s rise to power, but which was disrupted for a number of reasons, including the eight-year war with Iraq. This was followed by the rationality that was displayed by Hashemi Rafsanjani and Mohammed Khatami during their presidential terms in Iran. The godfather of rapprochement at the time was King Abdullah Bin Abdulaziz, who was crown prince then. During that time, Washington wanted Saudi’s testimony that Tehran was responsible of the al Khobar bombings [29 May 2004] but the Saudis knew that it would have meant war with Iran. Riyadh did not give Washington that validation. During Khatami’s presidency, Egyptian-Iranian rapprochement was increasing, with some minor differences – but both were speaking openly. At the time, Khatami pledged to change the name of the street that was named after [Anwar] Sadat’s assassin [Khalid Islambouli], but the matter was delayed because of the mayor of Tehran. And do you remember who that mayor was? Ahmadinejad! This is not the attitude of someone that seeks rapprochement; rather, it stems from nationalistic or religious intolerance – and what is concealed is always greater than what is revealed.